Understanding Insurance Subrogation - Crooks, Low & Connell, S.C. In many personal injury cases, a plaintiff who is seeking to recover damages will have incurred significant medical costs during the treatment of their injuries. This may include time in an emergency room, hospital stays, physical therapy, chiropractic care, or the cost of inpatient treatment. Depending on a plaintiff’s available insurance policies, if he or she has any, some or all of these costs may be paid by a health insurer or by their own auto insurer. For example, a plaintiff may have his or her auto insurance pay for his or her deductible, before health insurance kicks in to pay the rest. When the plaintiff later files a personal injury lawsuit against the at-fault driver (or tries to settle the claim pre-suit), he or she is entitled to go after all the damages incurred as a result of the incident. At the same time, insurers who paid the plaintiff’s medical bills may claim they have a right to recover the expenses that they paid on behalf of the plaintiff. This is known as a subrogation right and it is an important part of personal injury lawsuits. When a plaintiff files a personal injury claim or lawsuit, he or she will likely have damages that were paid directly by the plaintiff, and damages that were paid by other third parties. Under the collateral source rule, plaintiffs are entitled to seek recovery for all of these damages, even if they did not directly pay for them. Specifically, the collateral source rule holds that a plaintiff’s recovery in a lawsuit should not be diminished by payments that the plaintiff may have received from other sources, such as an insurer, or even by discounts that insurer negotiated with various health care providers. A jury is instructed to award all damages that it finds related to the incident, without regard for who might have paid for those damages. Further, in recognition of the fact that a plaintiff generally pays insurance premiums to receive the benefit of coverage for certain bills, a defendant is prohibited from taking advantage of that fact and asking a jury to lower the damages in the amount of discounts received or payments made by other parties. For example, if a plaintiff had a $5,000 surgery, but $2,000 was paid by an insurer and the procedure was discounted by $500, the plaintiff would still be entitled to recover the full $5,000. Part of the reason for the plaintiff’s right to recover full damages–regardless of who paid–is that after any recovery of damages, plaintiffs are often contractually and legally obligated to repay the third-party insurance provider that paid their bills. Again, this is known as subrogation. The idea behind subrogation is that if a person is injured due to someone else’s negligence, and a health insurance provider pays that injured person’s bills, that health insurance provider was technically harmed, too. Therefore, Wisconsin Law says that the health insurance provider may have a right to seek compensation for the manner in which they have been harmed. Subrogation rights are not inherent. Instead, they are set forth by statute, or in a contract. Programs such as Medicare and Medicaid that pay for an individual’s health care needs have a statutory subrogation right to subrogation. So do workers’ compensation programs and certain employer-sponsored health insurance funds that fall within the purview of ERISA. In addition, most health and auto insurers include subrogation rights in the contracts that they sign with their insureds so that they can recover health expenses they pay. As a practical matter, these types of third parties can assert a subrogation right in two ways. First, they can sue the defendant directly to recover for the expenses incurred. More often, however, the party will be included in the plaintiff’s lawsuit, and will then seek recovery from the damages that the plaintiff receives. This means that the third-party may claim to have a subrogation lien that requires the plaintiff to pay the entity the portion of recovery that it is entitled to upon successful settlement of the lawsuit or a jury verdict. There is one important caveat to a subrogation right, known as the made-whole doctrine. The made-whole doctrine is set forth in Wisconsin common law, and holds that where a plaintiff is not made whole by the settlement or verdict that he or she receives, parties with subrogation rights may be prohibited or limited in their right to recover from the plaintiff. For example, perhaps the plaintiff was severely injured in a car crash, and incurred $75,000 in medical bills, the bulk of which were paid by his or her health insurer. However, when the plaintiff goes to make a claim against the insurance company for the at-fault driver, he or she learns that policy has limits of $25,000. The plaintiff’s own policy for Underinsured Motorist’s (UIM) coverage has limits of $50,000, but a clause that says the $50,000 will be reduced by any amounts received by the at-fault party. In this situation, the health insurer may have a lien in excess of the total amount available, which in this case would be $50,000. In this situation the plaintiff may be able to claim that he or she will not be made whole by a settlement for $50,000, and the health insurer may not be able to recover the full amount paid from the plaintiff’s settlement. 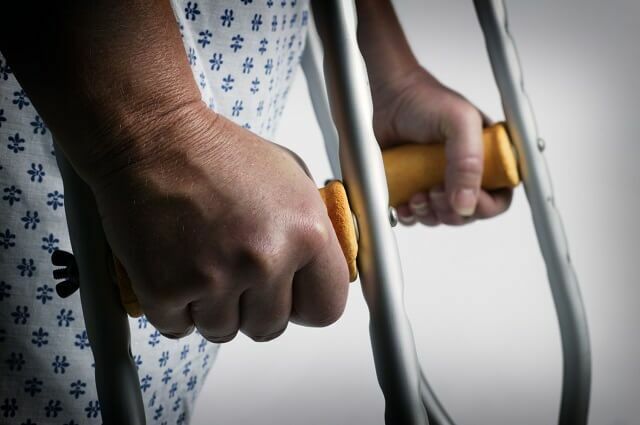 Subrogation can play an important role in settling a personal injury case. The party making a subrogation claim may argue that the plaintiff has been made whole by the settlement, while the plaintiff disagrees. In these cases, a plaintiff who is represented by an attorney can usually negotiate a discount on the subrogation amount owed in order to bring the case to a resolution. When this is not possible, Wisconsin courts can hold a special hearing, known as a Rimes hearing, to determine whether the plaintiff has been made whole, and whether subrogation is appropriate. Plaintiffs seeking negotiate amounts owed to third parties through the made-whole doctrine should know that the doctrine does not always apply: it depends on the statutory subrogation rights at play, in addition to the language of any contract in place with the entity that paid the bills. Even in personal injury cases with clear-cut liability and damages, subrogation can sometimes take up a substantial amount of any settlement or jury verdict. Subrogation claims are more difficult to negotiate after a jury verdict, as subrogation carriers will claim the jury verdict is the right amount to make the plaintiff whole. Therefore, in cases with significant subrogation claims, plaintiffs must carefully evaluate the value of their claims in light of those subrogation rights in determining whether to settle the case or proceed to trial. At Crooks, Low, and Connell, S.C., our personal injury attorneys can help you analyze the damages that you have in a personal injury claim and what subrogation rights might exist with third parties. For more information or to schedule a consultation, contact us online or at (715) 842-2291.